Big One 250 ml. 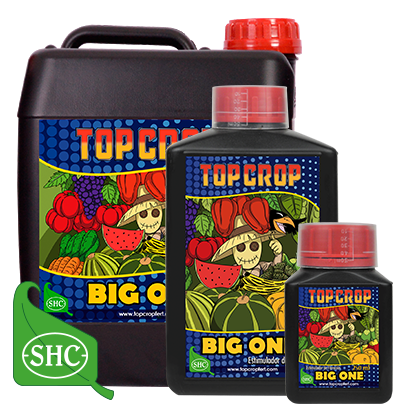 Big One 250 ml: It is a flowering stimulator formulated from plant extracs. 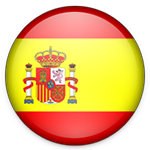 It is extremely rich in algae extracts and other natural phytoregulators mainly provided by the extract of alfalfa. Top Candy 250 ml. 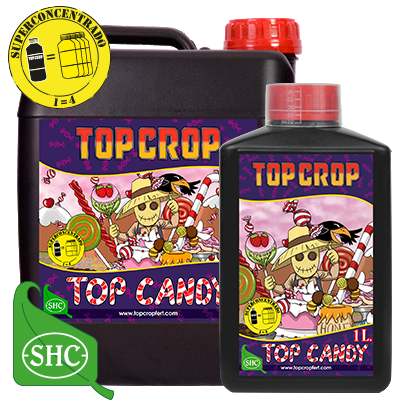 Top Candy 250 ml. 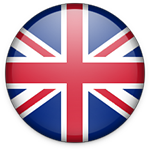 It is a product based on natural plant extracts, rich in carbohydrates. 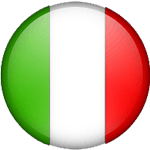 Its main function is to increase the weight and volume of the flowers. Morever, due to its composition, it sinificantly improves the smell and taste of the crops. Top Bud 100 ml. Top Bud 100 ml. It is a fatterning fertilizer for the flowering stage. Its maximum concentration of phosphorus and potassium and its absence of nitrates make it an ideal fertilizer for fattening. 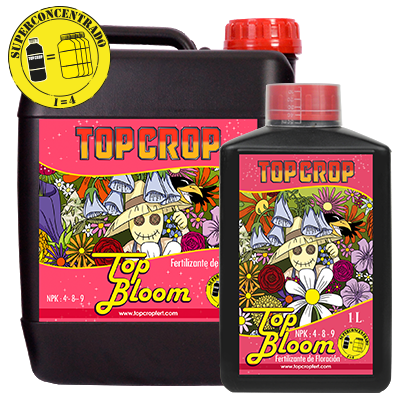 Top Bloom 250 ml. 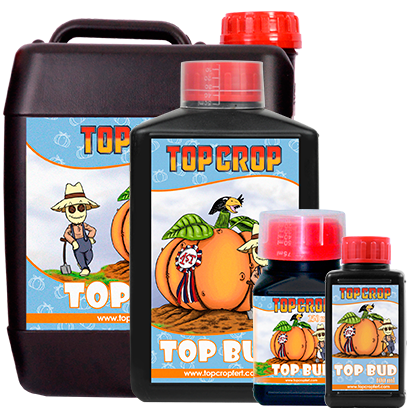 Top Bloom 250 ml: : It is formulated with humic acids of high natural organic activity. Its high content of phosphorus and potassium stimulates the start of flowering and the development of large and compact flower clusters. Top Veg 250 ml. 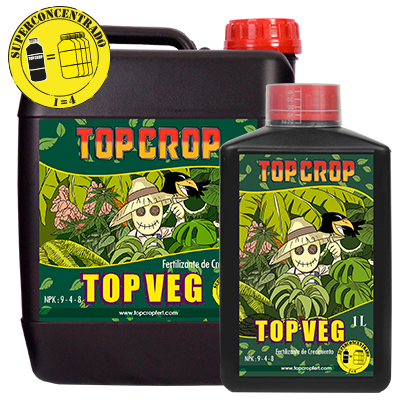 Top Veg 250 ml: It is a complete liquid fertilizer rich in humic, fulvic acids and water soluble macro and micronutrients. It promotes growth, strengthens defenses against diseases and stress, regulates the pH balance of soil and increases the chlorophyll content, improving the photosynthetic efficiency of plants. Deeper Underground 100 ml. 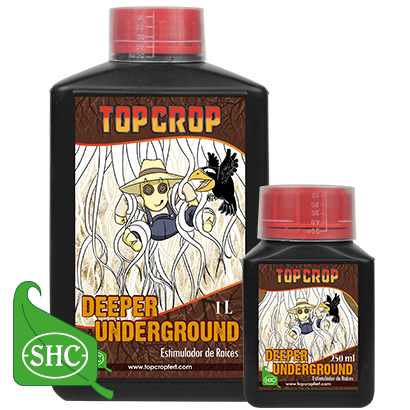 Deeper Underground 100 ml: It is a fertilizer developed to stimulate growth and root system development, increasing significantly the number of root hairs.